An RSS feed (or news feed) is a means by which you can stay informed about what's going on at Queen Charlotte Chorus without having to regularly visit the website. Who is Queen Charlotte Chorus? 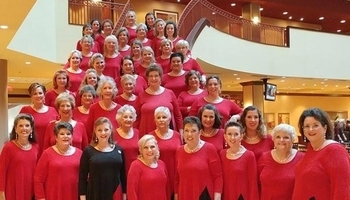 The Queen Charlotte Chorus is part of Sweet Adelines International, a worldwide organization of women singers committed to advancing the musical art form of barbershop harmony through education, competition and performance. Come sing with us! All our rehearsals are open to the public and to potential new members, so come sing with us! We rehearse every Tuesday evening at 7pm, at the Aldersgate Fellowship Hall, 3800 Shamrock Drive, Charlotte, NC 28215. Want Queen Charlotte chorus to sing at your next function? Looking for a fun and engaging entertainment option for your next event? 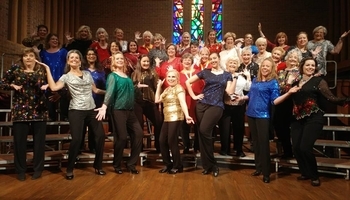 Queen Charlotte Chorus has a diverse repertoire of songs in the barbershop style and is available to perform at both public and private events.